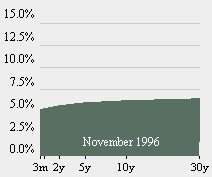 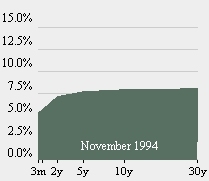 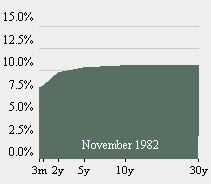 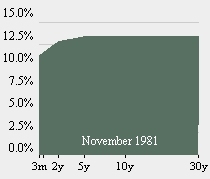 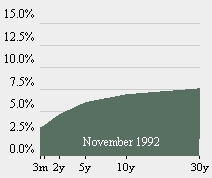 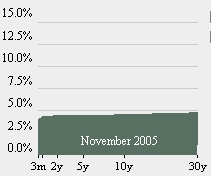 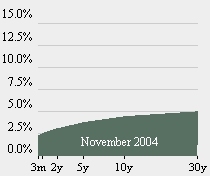 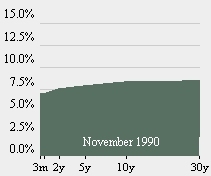 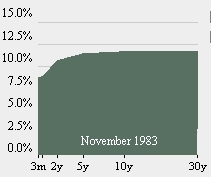 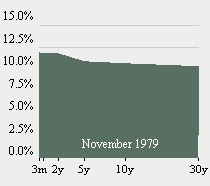 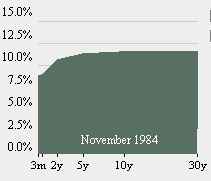 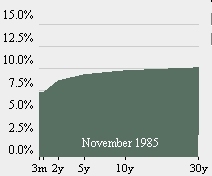 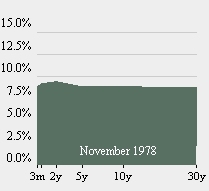 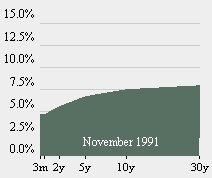 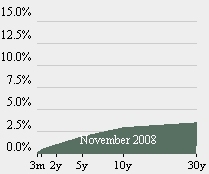 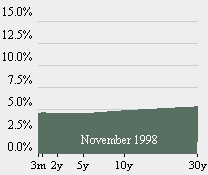 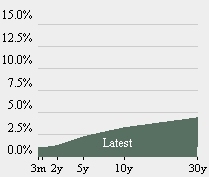 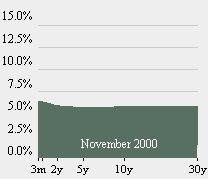 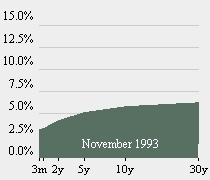 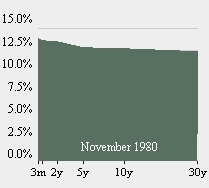 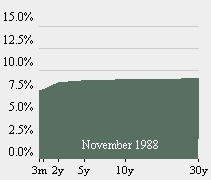 The evolution of the yield curve, which shows the yield paid by different terms of treasuries, from 3m to 30 years is shown below. If you look at the latest one at the bottom, you will see that we have never had this current situation (at least since 1977), and it clearly shows in how muhc trouble the economy is. 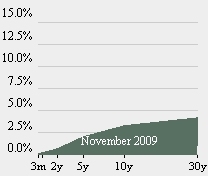 The latest yield curves above are simply astonishing. 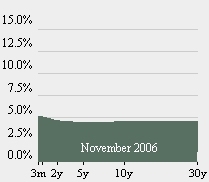 Note however that yields were indeed lower in 2008 and 2009, saying something about the effectiveness of QEs.